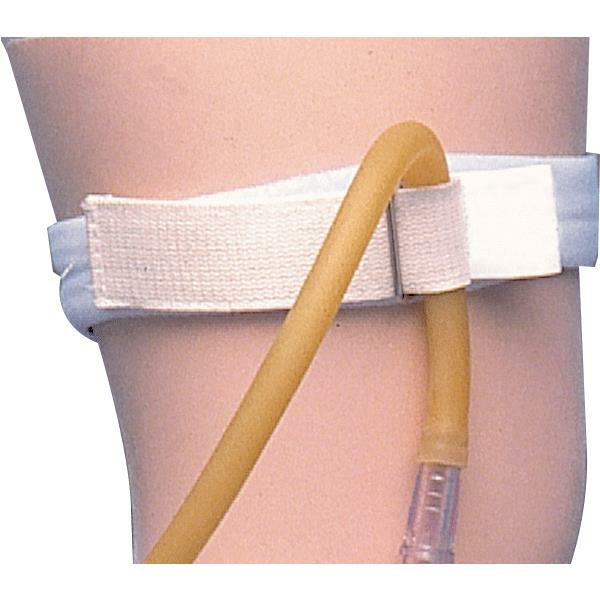 Posey Catheter Tube Holder Strap is a soft and comfortable foam strap which secures a urinary or nasal catheter. Soft foam band wraps around the leg to hold the catheter or drainage tube in place without skin irritating tape. Hook & loop fasteners are for easy application and placement. It prevents accidental pulling and possesses hook & loop fasteners for easy application and placement. It is washable and saves time for nurses. I hope User Manual will help resolve your query. Thank you for reaching out to us. Yes, it has Hook & loop fasteners for easy application and placement.